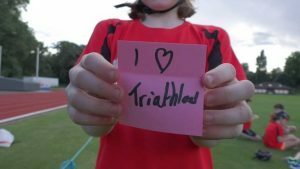 England Triathlon South-East Region offers many opportunities for young athletes to embark on their triathlon journey. Phoenix Triathlon supports local young competitors with novice events and skills camps to give them the confidence to race to the best of their ability. We’d love to offer more opportunities for young triathletes, and would welcome volunteers and coaches interested in getting involved to make that happen! For athletes in Tristar 3, Youth and Junior categories we offer discipline-specific focussed training sessions about once a month in the lead up to the season start. Applicants must already be individual members of British Triathlon and have competed, or intend to complete, in the South-East series or similar standard of races. We would anticipate, these athletes are already swimming regularly with a club and potentially a member of an athletics or school running club. * For safety reasons, athletes must have completed ASA Swim Level 7, be a member of a swim club, or demonstrate they can confidently swim 100m front crawl in deep water. You don’t need to be a member of the club or attend our sessions to get involved in triathlon. 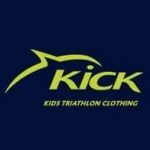 We work closely British Triathlon Skills School and the south-east England Triathlon office to promote relevant events and races in the area. We encourage all triathlon-keen young athletes to register for our own aquathlon events at Guildford Lido each summer, as well as the Triathlon England South-East region junior series and other local junior events. Further events for 2018/19 season will be posted on the club Facebook page as soon as they are confirmed.